Seafood is often the forgotten story of the food movement. Cheryl Dahle, Executive Director of Future of Fish, provides a big picture analysis of the issues, and points to some innovative solutions. What is Future of Fish? What unique role are you trying to play? Future of Fish is a nonprofit innovation hub for the seafood industry. We identify and help entrepreneurs whose market-based ideas have the potential to disrupt the seafood industry practices that result in widespread overfishing. We’re trying to find the confluence of good-for-business and good-for-our-oceans and help those ideas get traction in the supply chain. Why is seafood often the forgotten story of the food movement? The history and experience of fishing is less accessible to people than that of farming. We can see the effects of industrial farming on the land and in our communities more readily than we can see the effects of factory fishing — most of which are underwater. It’s also true that much of the activist movement around fish issues has targeted saving charismatic species, like sea turtles, whales, and dolphins. Concerns about overfishing have been led mainly by marine scientists, who are often myopically concerned with fishery health. The failure to illuminate the important connections to human health, livelihoods, community resilience, or energy consumption precludes the general public from relating to the problem on a visceral level. We are fundamentally self-interested beings — we learn about the value of environment through our lens of understanding how it affects us. What is the state of our marine fish populations today? About a third of the world’s fisheries are over-exploited, meaning we take so much out that the fish stocks can’t naturally recover and are in decline. Another 50 percent of fish are harvested at maximum levels. Several types of fish are nearing extinction, particularly top-of-the-food-chain predators like bluefin tuna and some sharks. Wild oyster reefs, which provide important ecosystem services of water filtration and shoreline stabilization, are at less than one percent of their original footprint. Some scientists predict we will see the end of commercial fishing by 2050. Although not everyone agrees with that timeline, the consensus is that we’re taking too much. Failing to act will eventually lead to the end of fish. The good news is that when we rein ourselves in from overfishing, stocks recover. We’ve seen that with Haddock off the coast of New England, as just one example. Better fisheries management, better supply chain traceability, and smarter consumer choices: All of these are part of the solution. What are the problems and opportunities presented by aquaculture (fish farming)? Fish harvested from aquaculture make up 46 percent of the world’s seafood supply. In fact, aquaculture is the fastest-growing animal protein sector in the world. 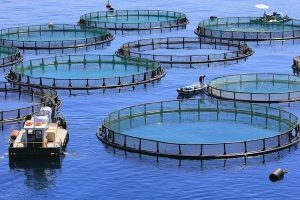 While aquaculture will necessarily play a huge role in meeting increased demand for seafood from a growing human population, we’re still challenged to figure out how to produce more fish without causing more problems — most of which are associated with high-density offshore net-pens for Atlantic salmon and shrimp. One of the main problems is the feed-conversion ratio. It takes up to five pounds of forage fish, like anchovies, sardines, and mackerel to raise one pound of farmed Atlantic salmon. In fact, at least 26 percent of all wild-caught fish are reduced to fishmeal or fish oil for aquaculture. Second, aquaculture operations often disrupt ecologically sensitive areas. Tropical mangroves, which are paramount as breeding grounds for fish and other marine species, have been destroyed by the millions of acres to make way for shrimp farming. Some high-density coastal operations can pollute surrounding waters with nitrates from fish waste and uneaten food pellets, resulting in algal blooms and dead zones. Finally, there is the risk of farmed fish escaping their enclosures and establishing themselves as invasive species, competing with wild stocks for food, spreading parasites, or even breeding with wild fish and diluting the wild gene pool. If these problems could be addressed, aquaculture presents a huge opportunity to reduce pressure on wild fish, while continuing to meet growing consumer demand for seafood. Aquaculture innovations are in the works with respect to fish-free feed, inland re-circulating enclosed tanks, and multi-trophic farms that essentially grow an entire ecosystem in order to minimize high-impact inputs and outputs. Why is the traceability of fish so important? 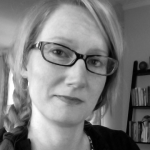 What is your vision for effective traceability? The global seafood market is supplied by a network of hundreds of thousands of boats and farms, thousands of processors, and tens of thousands of wholesalers and brokers. Information deficiency is a persistent cause of two main market failures within the seafood supply chain — fraudulent labeling and illegal fishing — and is a key impediment to sustainability efforts, from fisher to consumer. 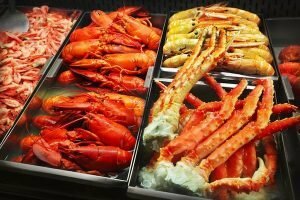 Between 30 and 70 percent of seafood in North America is mislabeled, meaning the species or origin touted is inaccurate. This fraud-ridden system not only misleads consumers, it prevents the market from accurately valuing and pricing responsibly caught fish. It also fails to reward fishermen who are committed to stewarding rebuilt fish stocks and a healthier ocean. Supply chain opacity allows for illegal, unreported, and unregulated fishing practices that threaten both the sustainable management of marine resources and the livelihoods of local fishing households. An estimated $30 billion worth of black-market fish (caught over and above legal quotas) is smuggled into the legitimate supply chain every year and passed off as legal fish to unsuspecting buyers and consumers. Although stronger regulations and stricter policing may seem like the logical solutions, catching fraud and illegal fishing where they happen is nearly impossible. Thus, we believe that better data and tracking mechanisms could make it harder for defrauders, pirates, and criminals to operate with impunity. Making fish provenance knowable and making that knowledge widely available makes cheating more difficult — but this shift must be industry-driven and market-incentivized. Future of Fish is working to promote the development and widespread adoption of traceability technology that will make “fish plus story” the industry standard. What can seafood eaters do to help support healthy, sustainable fish populations? When dining out or buying seafood, try to buy from trustworthy establishments that have made a commitment to sourcing sustainable seafood. If you’re unsure, ask questions about the fish. What kind of fish is it? Where did it come from? Is it wild or farmed? How was it caught? The more people demand information, the higher the pressure on distributors and processors to provide that information. Compare that information to consumer guides and mobile apps provided by the Monterey Aquarium’s Seafood Watch program, which can be helpful for making seafood choices that are good for oceans. In general, seafood from Alaska (e.g., wild salmon and halibut) is sustainable, as are most shellfish (e.g., oysters, clams, mussels), and small fish (like sardines, herring, and anchovies). 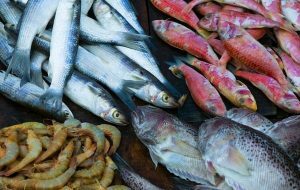 Try to avoid Atlantic salmon and shrimp — these are the two most common but ocean-harmful menu options. Finally, if you are going to eat seafood, eat it in moderation — skip the all-you-can-eat seafood bars, for example. If we reduce our overall demand for wild fish, we may have the chance to eventually rebuild currently depleted fisheries so they can be fished and enjoyed once again. To me, the food movement is about mindfulness. Like so many other routines in our daily lives, we eat without thinking. That leads not only to the myriad diet-related health problems plaguing our population, but it robs us of experiencing the appreciation and awe for the miracle of food on our plates. From the science of turning a seed into an edible plant, to the historical knowledge about what’s safe to eat and what’s poison, to animal husbandry and fishing, to the people who do the planting, harvesting, processing, packaging, trucking, sous-chefing, and cooking — rich story and real people and places are present in every spoonful of what we eat. My experience is that the more people know about their food, the more interested they are in making sure the story behind it is a good one. The conventional food chain delivering cheap, highly-processed, nutrient-deficient commodity products masks this story — largely because it’s a story of genetically modified crops, high doses of pesticides, underpaid and overworked laborers, and a huge carbon footprint. The continuing rise of farmers markets, community gardens, local sourcing by restaurants and grocery stores, and storied products from farms, ranches, and fishermen are a testament to an increasing demand for real foods that are good for the body, the farm worker, and the environment. Future of Fish – A CharitySub Selection from charitysub on Vimeo. A journalist and entrepreneur who has worked at the intersection of business and social transformation for more than a decade, Cheryl Dahle conceived and co-led the effort to found Future of Fish. Prior to her work with fisheries, Cheryl was a director at Ashoka: Innovators for the Public, where she distilled knowledge from the organization’s network of 2,500 fellows to provide strategic insight to foundations and corporations. As a consultant, she has served leading organizations in the space of hybrid business/social solutions, including Humanity United, Nike, the Robert Wood Johnson Foundation, the David and Lucile Packard Foundation and the Center for the Advancement of Social Entrepreneurship at Duke University.